For users to connect to View, they enter the name of one of the connection servers. However if one of these were to fail, there is no automatic way for users to be redirected to another connection server. We note that “the solution must be highly available with no single point of failure (SPoF)” (R2). Whilst other technologies such as vSphere HA, multiple NICs in each host and a highly available storage tier (in our case IBM XIV) are in place, currently there is no protection offered for the View Connection Servers . To satisfy this requirement we must ensure that in the event of a Connection Server failure, users are automatically re-routed to an available server so they can still access their desktop or application. In addition to this, it would also be beneficial to ensure that requests are equally distributed between connection servers to prevent either one from becoming over-utilized. One of the design constraints (see part 1, Constraints, C3) is that all load-balancing must use the existing F5 devices. Please note: in the event you don’t have access to F5 load-balancers, Nginx have a free one which can also be used. The Management interface is attached to VLAN60, whilst the HA interfaces are connected to each other using a crossover cable. All hosts on VLAN95 are configured to use 172.17.95.253 as their default gateway. A forwarding (IP) virtual server called Outbound-VS has also been defined. High Availability has also been configured between the two hosts. Each device has been configured with a SSL private key and certificate. The root and issuing certificate from the internal Certificate Authority have also been imported. This will create a host record for vdi.nl.mdb-lab.com that will point to the F5 load-balanced IP of 172.17.90.50. Please note: the following assumes you have an internal certificate authority already in place with a template called “VMwareSSL” . Please see the section “SSL certificates” in part 2 for more information. No subject alternate names (SAN) are needed. Import the p12 file to the F5 devices. 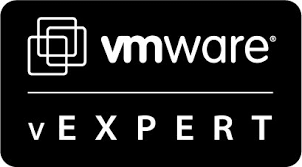 Before beginning the F5 configuration, download the latest F5 iApp templates for VMware View from https://downloads.f5.com/esd/productlines.jsp. At the time of writing the template bundle version is 1.0.0.377, and the VMware View templates are version 1.3.0. Verify the correct templates have been installed. Scroll down to the SSL Encryption section. From the How should the BIG-IP system handle encrypted traffic? drop-down box, select Terminate SSL for clients, plaintext to View servers (SSL offload). From the Which SSL certificate do you want to use? box, select the certificate you imported previously. Select the corresponding private key below. Under PCoIP, select Yes, PCoIP connections should go through the BIG-IP system from the How should the BIG-IP system handle encrypted traffic? drop-down box. From the Will PCoIP connections be proxied by the View Security Servers? field, select No, PCoIP connections are not proxied by the View Security Servers. Under Virtual Servers and Pools, type the load-balanced address in the What virtual server IP address do you want to use for remote, untrusted clients? field. In the What FQDN will clients use to access the View environment? field, type the fully qualified domain name corresponding to the DNS entry created previously. Finally, enter the IP addresses of the two View Connection Servers that have been migrated to the internal F5 VLAN (95). The simplest way to test the above is to shutdown each of the View Connection Servers in turn and then use the View Client to connect to a desktop or application pool. If you can still connect and receive a desktop (or published application) despite a View Connection Server being offline then the config works as intended. Simply running a looping ping will not work as the F5 virtual server will always respond even if both connection servers are down. In this part we configured our two F5 load-balancers to distribute traffic between the two VMware View Connection Servers. We then tested the configuration worked by shutting down each of the connection servers in turn and verifying connectivity was still in place. 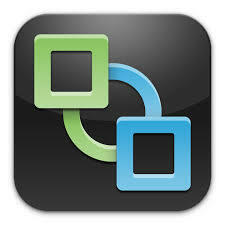 In the final part in this series we enable remote users to access provisioned desktops and applications in a secure manner by using the VMware View Access Point.